Periodontics refers to the treatment and maintenance of the structure that supports your teeth - namely, the gums and bone matter. Left untreated, gingivitis can escalate into periodontitis - although there are other factors that can contribute to the disease, including smoking, genetic tendencies, and unchecked diabetes. 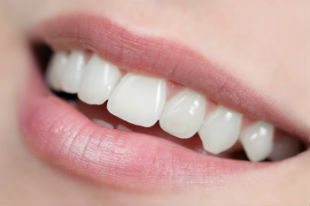 Periodontitis symptoms include those of gingivitis, as well as a metallic taste in the mouth, receding gums, enlarged spaces between the gums and teeth, severe halitosis (bad breath), and even loose teeth (from loss of bone). 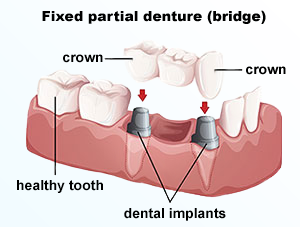 When attempting to place a dental implant in your mouth we may sometimes discover that bone loss has occurred on the site of a potential implant. 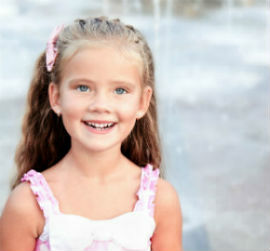 Bone loss in the mouth can occur as a result of several factors including, periodontal disease or infection. Fortunately, Columbia Prime Dental has a solution. 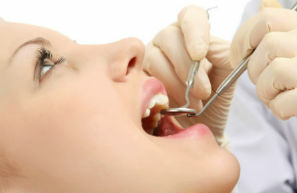 Our dentists can fill in the gaps and replace the missing bone in a process known as bone grafting. With bone grafting your dentist can widen or heighten the site of your implant and fill in all types of defects caused by tooth loss or extraction. Whenever possible we'll extract bone directly from the patient. However, we can also utilize "bottled bone" from other sources when necessary. 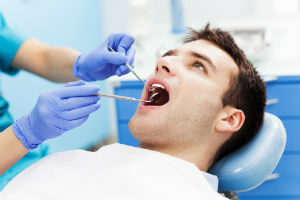 As with any other dental procedure Columbia Prime Dental performs, you can expect that your grafting will be undertaken with the highest degree of care and professionalism and that you'll be consulted on every facet of the operation. 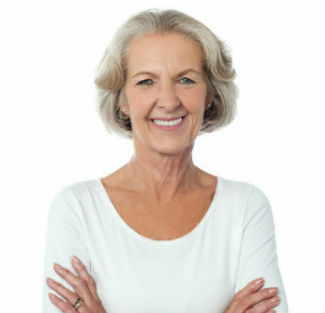 Once bone has been restored to the appropriate areas you will be fully prepared to receive any necessary implants and improve your dental health. Generally caused by tooth decay or shock, pulp or nerve tissue damage can be an excruciating experience, with symptoms including pain while chewing, sensitivity and swelling. If left untreated, pulp damage can lead to abscesses, or pus-filled infections, and eventually to tooth loss. Endodontics, or root canal therapy, is the branch of dentistry that deals with treating dental pulp damage and is the best way to directly address the pain and save the tooth. During a root canal procedure, infected nerve tissue is cleaned out and replaced with filler to prevent further infection. 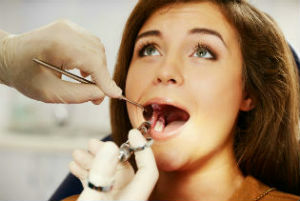 With proper anesthesia, root canal therapy can be a pain free process. At Columbia Prime Dental, we have training in root canal therapy and take every measure to ensure our patients' maximum comfort throughout the procedure. If you are experiencing tooth pain, sensitivity or swelling, it is important to act fast, not only to relieve your pain, but also to save the tooth from complete decay. 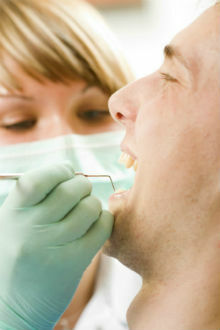 Dentists are known for everything having to do with teeth. So, what can a dentist tell you about snoring? If you've ever been kicked out of bed for snoring too much or too loudly, or if your snoring is disrupting your sleep patterns, you have something called sleep apnea. Sleep apnea comes in two forms. The most common form is obstructive sleep apnea, which occurs when your windpipe is blocked while sleeping. The blockage can be from your uvula, tonsils, tongue, throat tissue, or even by the muscles in your throat. A more rare form of sleep apnea is caused by a disruption of your central nervous system - the signals from your brain that control your breathing don't reach the appropriate places. Regardless of which type of sleep apnea you have, what happens is that you stop breathing for 10 to 30 seconds, several times a night while you sleep. This causes you to wake up - which disrupts your sleep, and prevents you from getting the quality deep sleep your body needs to function at its best. While you cannot die directly from sleep apnea, it can cause heart disease and strokes. 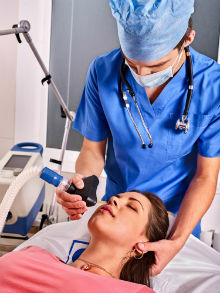 Your doctor can diagnose sleep apnea, and refer you for treatment. There are dental devices available for treatment, which help you to breathe easier, that realign your jaw in a more forward position.